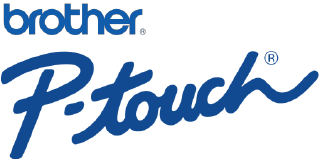 It takes more than just the printer itself to keep your Dymo labeling unit running efficiently, so for all of your Dymo printer accessories and other supplies, turn to PtouchDirect. We carry a wide selection of affordable Dymo label accessories to go with any printer or label maker, including compatible batteries from top brands and AC adapters created by the brand itself. You’ll even find replacement LabelWriter cleaning cards to ensure that your Dymo unit stays in top working condition. With all of your Dymo printer accessories at the lowest prices online, there’s no better place to shop than PtouchDirect. Order from PtouchDirect and get same-day shipping on any Dymo product when you place your order by 3:30 p.m. EST. If you’re unsure of which accessories to use with your printer, contact our helpful customer service team at any time.